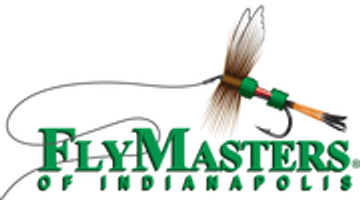 FlyMasters Beginning Fly Tying class is a four week course that meets Tuesday evenings or Saturday Mornings. You can choose to attend the Tuesday evening classes or the Saturday Morning classes. They are the same classes just different days to accommodate busy schedules. The entire course is only $75.00 and all materials and tools are provided. The main focus of this course is to develop good hands-on techniques as well as emphasis on proper fly proportions and aesthetics. Upon completion of the course the student should have the ability to tie about 80% of the basic patterns shown in most fly-tying books and magazines. Flies selected for the course include trout flies, warmwater flies, steelhead, salmon and possibly saltwater flies. In the first class, students will tie a rubber spider and a woolly bugger. There is a wide range of flies that can be tied by beginners and the exact flies we tie will be determined by the interests of the class. Students will tie two different flies in each session and will tie two of each fly to help re-enforce the steps and techniques of the flies they tie. The skills learned in tying the flies in this course will apply to all other flies any tier might wish to tie. Classes are a combination of information and instructions concerning tying materials, tool and techniques as well as step-by-step instruction for the flies tied in class.